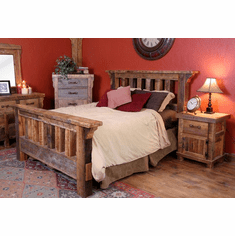 Every time customers walk into our showroom they head to the Black Mountain bedroom furniture and say, "This is just what we are looking for." 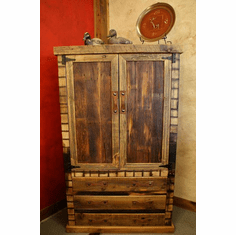 We have sold more of this set in the last year than any other offered by RusticFurniture.com. 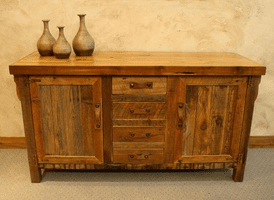 The family owned business has capitalized on what it takes to turn solid reclaimed timbers into attractive designs and rustic furniture. 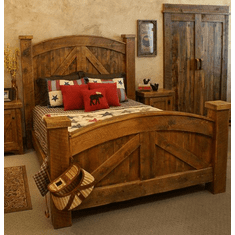 When we questioned the manufacturer on their ability to always have such quality beds they said they have access to some "beautiful wood". 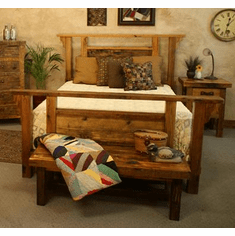 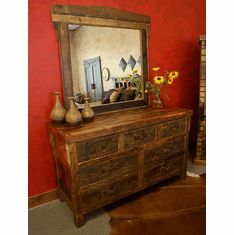 The rustic furnishings can be left with either a natural stain or a little darker warmer color. 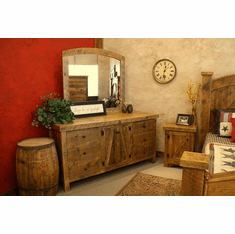 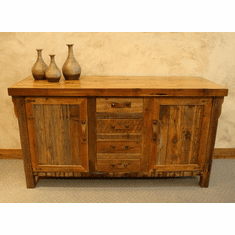 All of these rustic furniture items work in a bedroom but there are additional sideboards, television stands, and armoires appropriate for many rooms in the home.